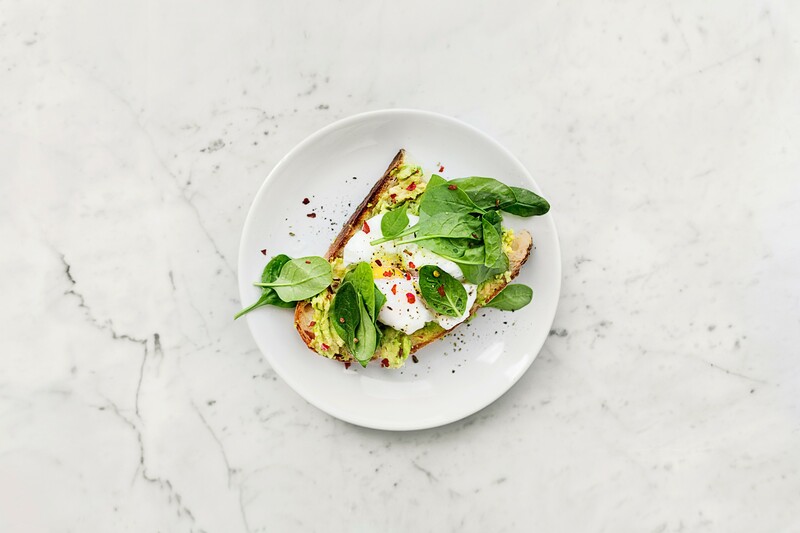 Comparing Kitchen Countertop Materials: What’s Your Ideal Type? Thinking of the right countertop material for your kitchen? Here’s the lowdown of popular surfaces. A composite material, solid surface offers various benefits that have proven it a popular material among homeowners. Pros: This man-made material comes in a host of colours, so you can find something that suits your tastes easily. It is durable and easy to maintain. One of its perks is its absence of joint lines, so it is sought after for L-shaped kitchens. You can even join it seamlessly with a sink in the same material. If there are scratches and stains, buffing the surface will freshen it up. Cons: While it is fairly durable, direct heat and sharp objects can damage the surface. Small cuts and scratches are more visible on dark surfaces. Note that not all solid surface materials are made equal. Look for blends with more acrylic content for greater durability. Predominantly made of quartz – more than 90 per cent – and mixed with polymers, resins and pigments, this is a premium surface that is also hardwearing. Pros: Heat, stain and scratch resistance, quartz offers fuss-free use even in kitchens that are used daily. The smooth surfaces are easy to clean. 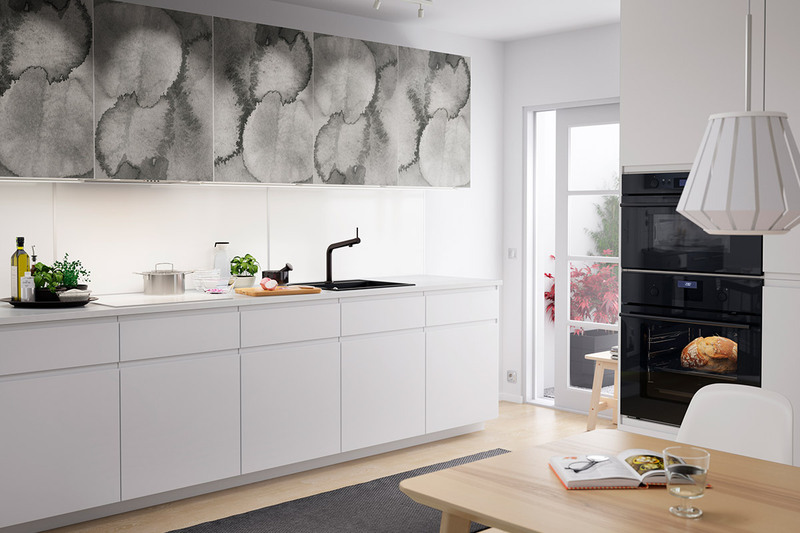 Quartz also comes in a variety of colours and patterns, so it offers a good range of options for your desired kitchen style. Cons: Like all stone, while it is resistant to heat, it can be damaged by sudden and extreme temperature changes. In L-shaped or large kitchens, there may be joint lines, depending on the size of the slabs. This would require extra care and cleaning. Price wise, quartz can be a hefty investment for the kitchen. 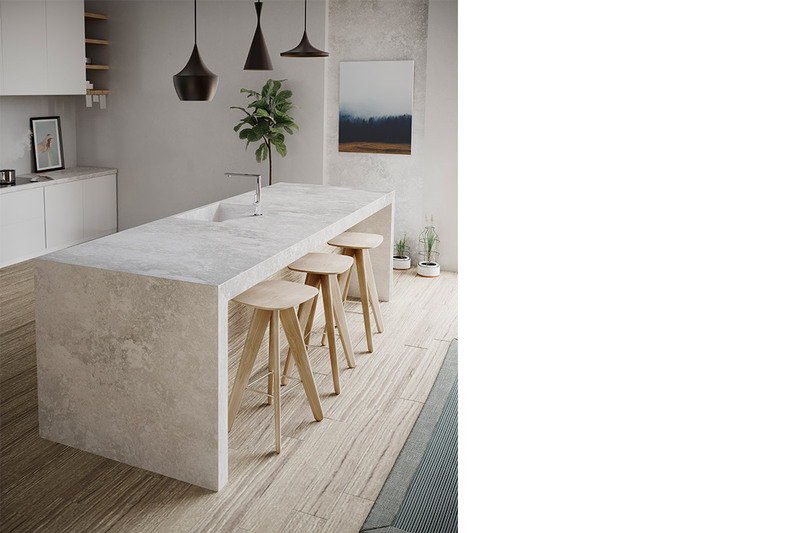 This natural stone, with its veins and swirls, offers beauty loved by many. It is also a premium material that, however, requires tender loving care. 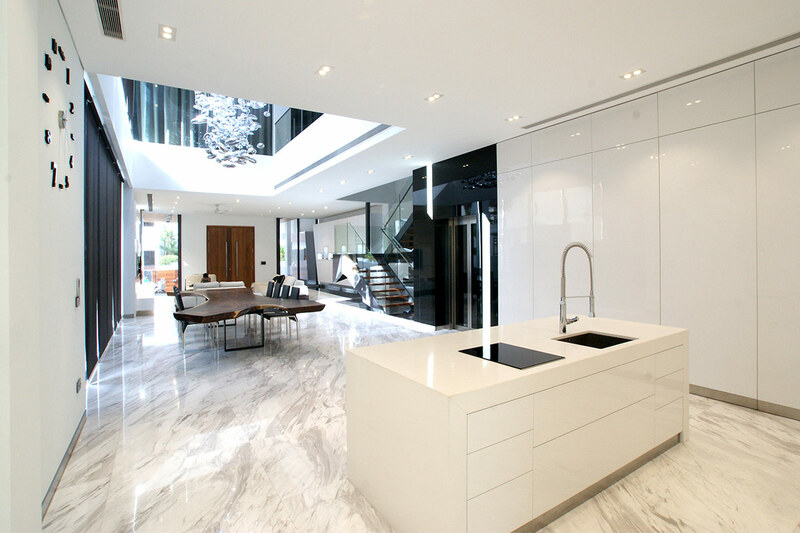 Pros: Beautiful and striking, marble elevates the look of the home by virtue of its distinct grains. Therefore, the standout material is perfect for open-concept or dry kitchens. Cons: Marble countertops are high maintenance. It stains and scratches easily, so it’s not ideal for curry and wine lovers. To minimise such issues, coat the marble with a sealant once a year or twice if you do heavy cooking. One of the expensive countertop materials, it can be a significant investment. Once considered low end, laminates have since evolved. It is now available in a wide array of colours, styles and patterns, mimicking those of premium materials like marble without the maintenance needed. Pros: Easy to maintain and durable. Regular cleaning with mild soap and water keeps it like new for years. Affordability and its durability make this a suitable option for those on a budget. Cons: Though not easily chipped and scratched, laminates can get damaged by sharp objects and still require protection from hot pans. The countertop can also sustain damage if water gets into its seams. 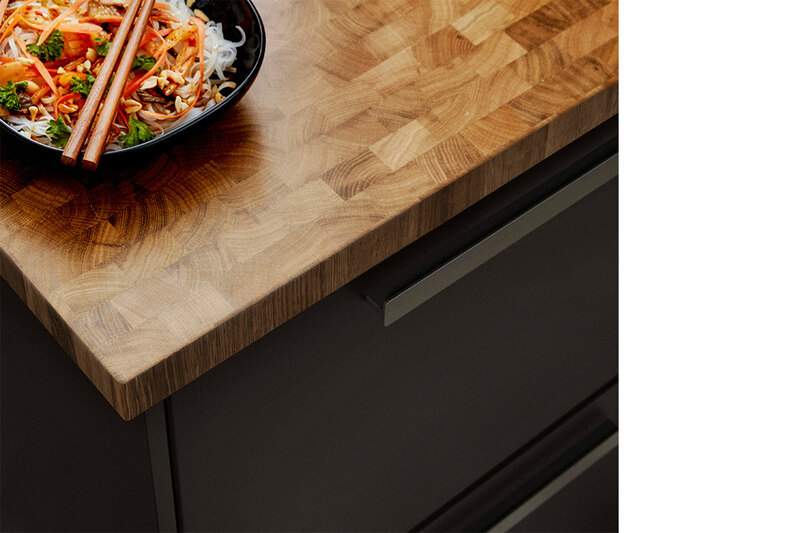 Solid wood countertops are beautiful and add warmth to kitchens. However, it is a high-maintenance material. Look for hard woods like maple and oak. You can ask about the Janka hardness scale. Pros: The beauty of wood brings warmth into the kitchen. As a biodegradable material, it is also kind to the environment. With wood, too, you can sand it to make it look like new. Cons: Wood is a high maintenance material and can suffer water damage. Therefore, sealant is required at least twice a year. Look inside commercial kitchens such as those in hotels and restaurants, and you will see stainless steel countertops. 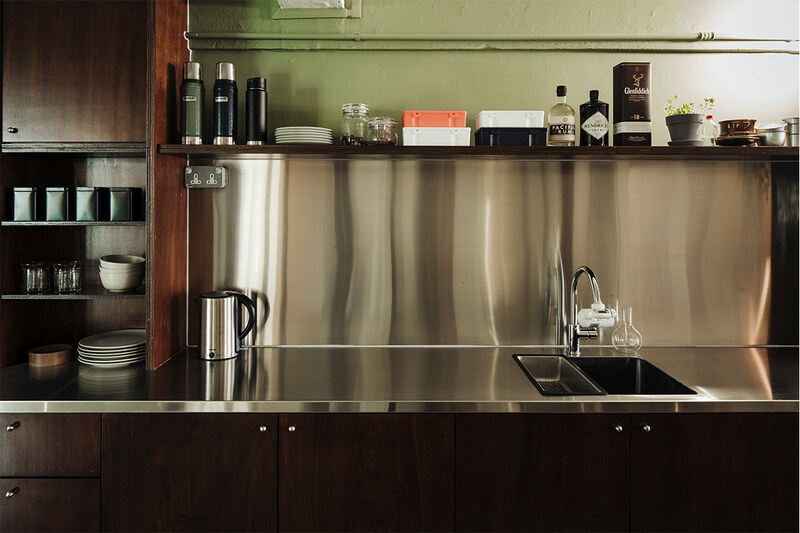 Stainless steel is ubiquitous in industrial kitchens for many reasons, and many homeowners are taking ideas for them. Pros: Aside from being non-porous, stainless steel is resistant to water, heat and stains. It is also hygienic, fighting bacteria, mould and germs. Stainless steel counters look elegant too, and the shiny surfaces help to reflect light to make the kitchen look larger. Cons: It scratches easily and can be prone to dents if it is not installed properly and be met with knocks and pointed objects. Some stainless steel surfaces show more smudges and fingerprints than others. Can be noisy too.